This striking abstract metal wall art merges a range of textures and dimensions to fascinating effect. An absolute head turner, the aged gold metal wall hanging oozes luxury, combining rich gold with warm shades of cream and red. 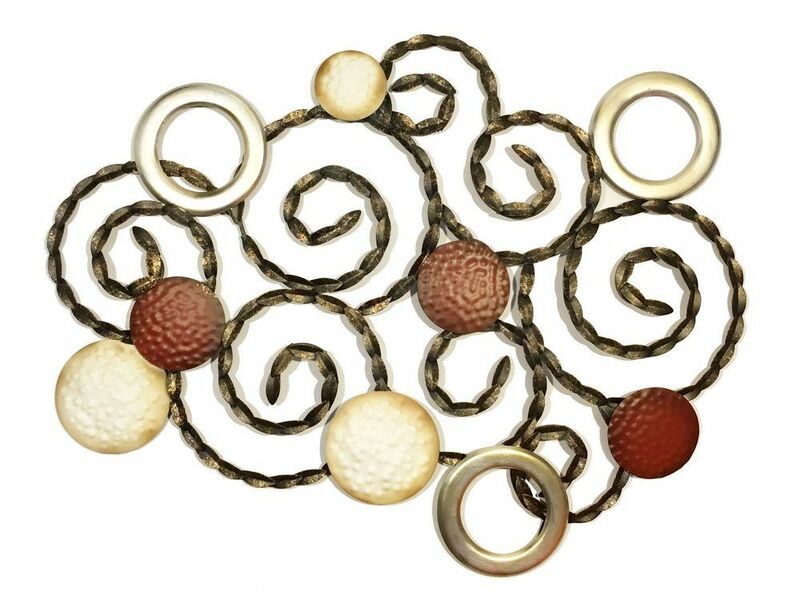 Showing random metal discs and circles sitting within aged gold spirals, the varying finishes and tones add eye-catching texture. The see-through design of this red and gold wall art means the natural decor of the room shines through. Perfect for bringing a luxurious warm metallic touch to the home.